This is a very attractive and simple free PHP template that you can download and use for your dynamic websites. Simple knowledge of PHP is required to modify and install this free PHP template. 1. Support for three 728X90 and two 300X250 advertisements. The Ads have been strategically placed to provide maximum benefit and good aesthetics. 2. Beautiful top navigation menu with the help of CSS template. 3. CSS template helps in providing Different styles for main and post pages. 4. Free PHP template is easily extensible to support querying any database (including MYSQL). 5. Supports Feed burner or RSS for your site on the side bar. 6. Free PHP template has SEO friendly design which includes title, keywords and description tags. 7. Provides section for placement of custom search bar from Google. 8. Supports placement of social media widgets (including Facebook,twitter,Google Plus). 9. In built support for AJAX when used with protocol.js script. 10. Supports tags for MSN, Google and Alexa site verification. 11. 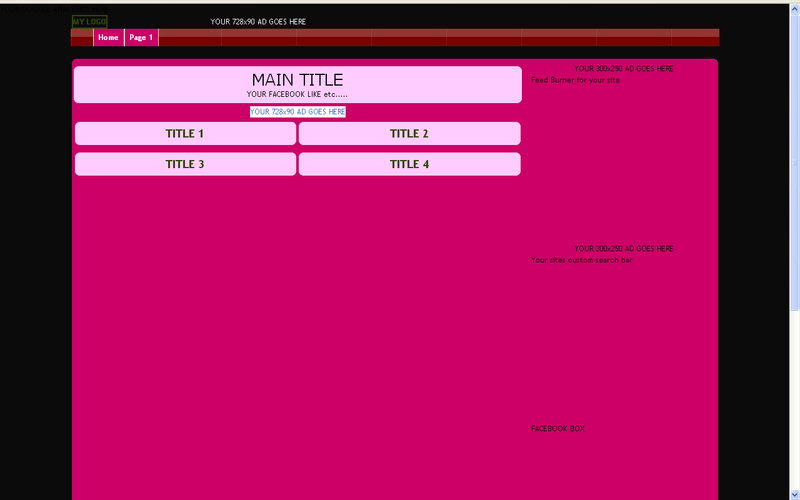 CSS template can be easily modified to support any color. 12. Support for placement of your Google analytics code. 13. Free PHP template has ability to turn off advertisement based on IP addresses to protect your ads from accidental clicks. The PHP template contains place holders for various sections. All you need to do is replace it with your own text or content. The file myroot.php should be modified to contain your website root directory. The PHP template uses this root directory to find other relevant files for this template. Feel free to make any changes to directly add paths in the template. If you need any help with PHP template send me a message. If you end up using it do let me know and I will place a link to your website on this page.